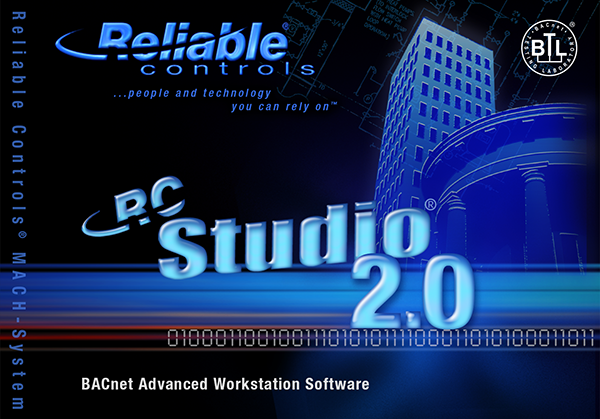 RC-Studio® 2.0 is a powerful and intuitive BACnet® operator workstation application that allows building engineers and operators to think outside of the box and create control programs and interfaces that are limited only by the imagination. The Q3 2007 release of RC-Studio® 2.0 is a major update that offers end-users a wide array of new and enhanced features to benefit workflow and ease-of-use. Improved scale-to-fit supports standard graphic formats. The major focus of the Q3 2007 update is to expand the BACnet® capabilities of RC-Studio® 2.0. A new Graphical User Interface (GUI) for viewing the BACnet® Schedule Object and the BACnet® Calendar Object is included, as well as an enhanced BACnet® Trend Log GUI incorporating support for the new RC-Archive®. This new GUI allows both archived data and the current controller’s data to be simultaneously displayed in the same interface, creating a seamless presentation between past and present data.